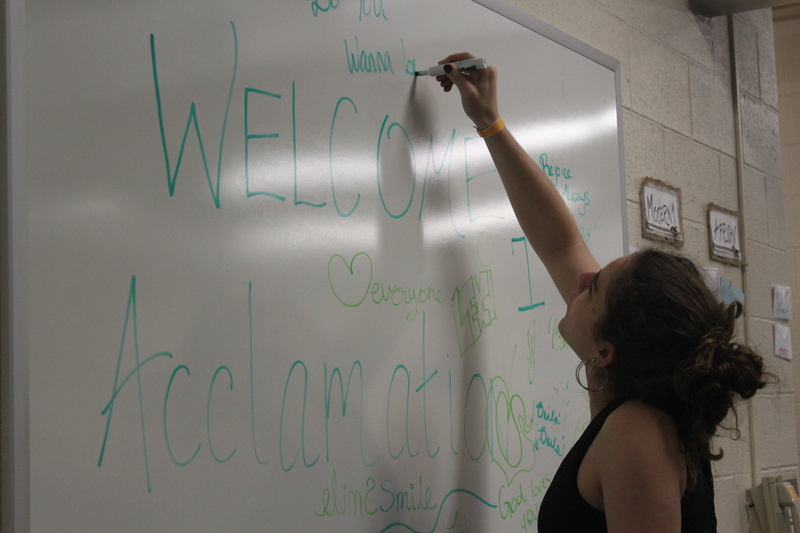 A Look Into an Acclamation Class! 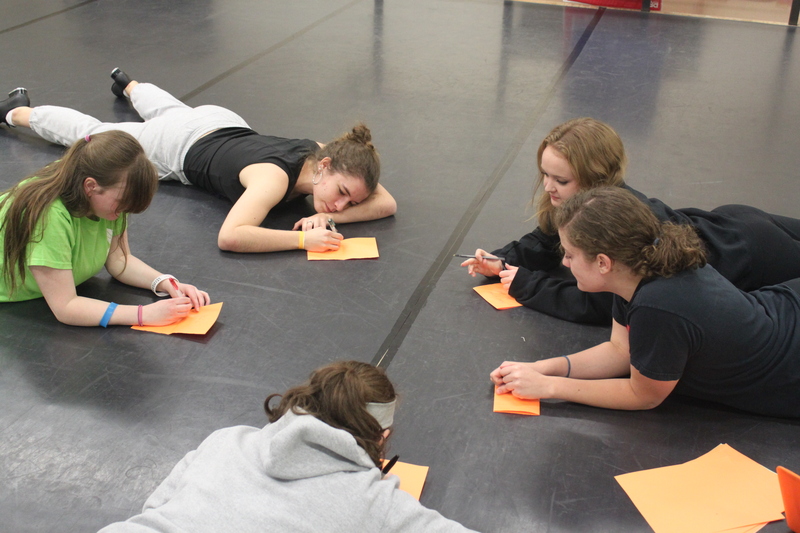 Sunday through Thursday students gather in the Witmer basement dance studio and the High Center dance studio to prepare for our performances throughout the year. There’s a lot of behind the scenes work put into our performances, so here’s a look at a typical Acclamation class. First, we have welcome and announcements. We talk about upcoming events, and pass around sign up sheets for people to volunteer to make baked goods, read verses, and other important aspects of our rehearsals and performances. 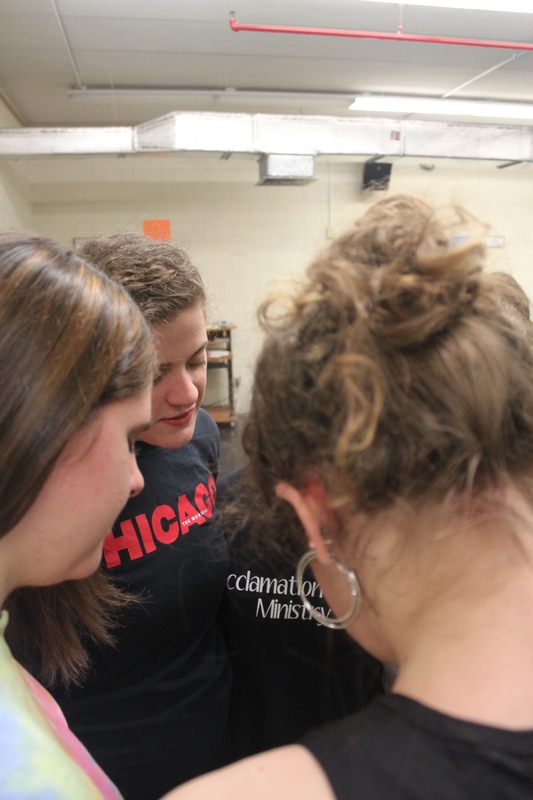 Then, and extremely important aspect of our rehearsals would be devotions. We spend around 15 minutes at the beginning of practice to focus on why we are there. 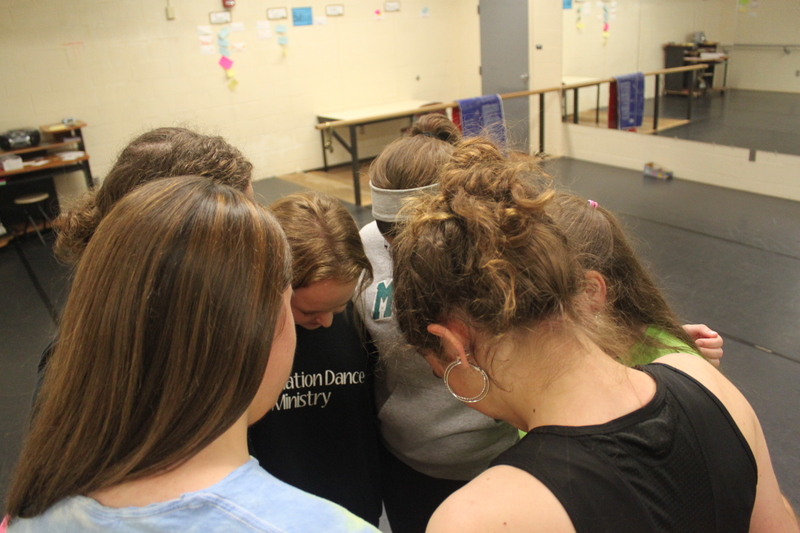 Acclamation is a dance ministry, therefore our sole purpose is to glorify God through our movements and gifts. Once we are focused and ready to begin, most classes typically have warm-ups and stretches. 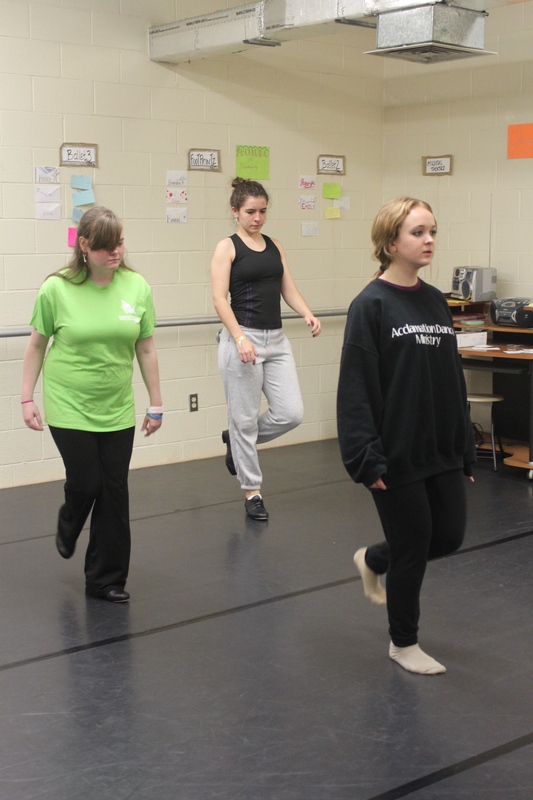 Tap classes usually have warm-up routines, while other classes such as ballet and modern spend time stretching to assure that we don’t have any injuries. Next, most classes spend time doing across the floor or center floor time to practicing jumps, leaps, or other small routines. Finally, now that we are in the season of preparing for specific performances, such as Christmas Chapel, we spend the rest of the time learning new choreography and reviewing what we’ve already learned. Last, we spend some time in prayer as a group.